A guest captures live footage of magician Dominic Reyes performing strolling magic at London's Kensington Roof Garden. A guest asked Dominic if he would record a trick on his phone. Dominic borrowed a bank note, had it signed and then did something special just for them. The sound isn't great as it was captured live and later sent in to us. Notice the expression of the man as he watches his bank note transform. He can't believe his eyes! 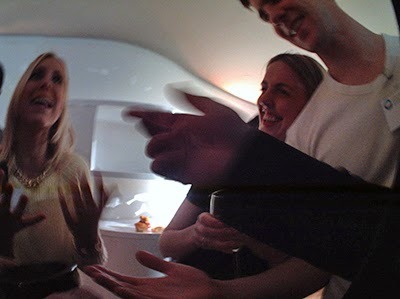 Guests often want to film our magicians so they can share the magic with their friends. 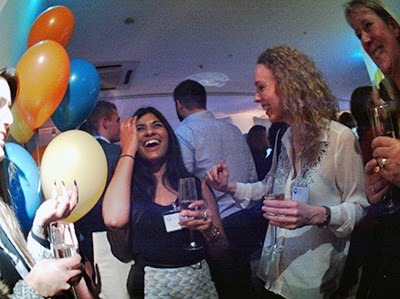 We love that, as it helps spread the word about our clients events and creates a buzz long after the party has ended. Our strolling magicians mix with your guests, moving from group to group so everyone gets to see the magic. The magic secret is to make sure that the focus is on entertainment. It doesn't matter how good a magicians technical skills may be, they have to engage the audience, charm them first, then fool the hell out of them. At this event, Dominic mixed with the guests during pre-dinner drinks, following through to preform at their tables during the evening. 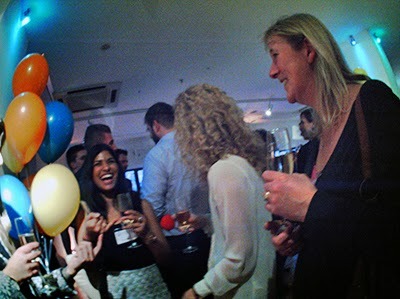 Watching your guests enjoying the magician at your event is all part of the fun of hiring a magician, but as the host you're going to be far to bust socialising to capture all the magicial moments. A popular option that you can choose is a magicians point of view camera. It's a small device that the magician wears on his or her jacket or shirt, to capture the magic from the magician's point of view. If you request one of our magicians to wear a camera, you'll receive a short video after the event that presents all the images captured. The footage is raw, live, and full of action. As the magician and guests are moving around, some of the images are out of focus, or slightly blurred, it's not supposed to be a perfectly frames shot of your guests, that's the job of your event photographer. Instead, it's a fly on the wall recording of your guests having fun. When the camera finds something it feels is worth capturing it will automatically take an image. The result is a complete diary of your guests being entertained. The magician will check with your guests that they are happy for him or her to film the magic, most people love this and will often ask for a copy for themselves. Having this short video slideshow of the magic, is so much fun to watch after the event, and the video can be shared with your guests. Corporate clients especially like using the video to send to their guests as a recontact, or post on their company facebook page or internal forum groups. This month our team of magicians are working with Johnnie Walker to promote their Red Label scotch across the UK. The team of magicians Dominic Reyes, Micheal Fairall and Ben Williams are be appearing across the UK performing magic, building a crowd, and helping to introduce Red Label to as a perfect party drink. The perfect serve for Red Label scotch whisky is simple: Johnnie Walker with ginger ale, and a touch of lime juice. Plenty of ice, in a long glass makes Johnnie and Ginger a refreshing drink with a surprising flavour. 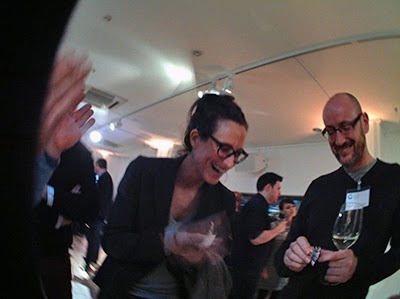 The magicians are drawing in a crowd in key areas across the country, performing magic and letting people try Johnnie and Ginger for themselves. Performing in top hat and tails, using exclusive Johnnie Walker playing cards, the magic includes a bespoke range of magic tricks specially designed to communicate the key message of 'a perfect serve'. One of the first questions we get asked is 'How much does a magician cost?' It's not often that people hire a magician, so they may not know what price to expect. The date of the event - Some dates are very popular, such as public holidays. In December there are a lot of parties and events, so the more popular magicians tend to get booked up well in advance and their prices can be much higher. The weekends will often be more expensive to hire a magicians, compared to weekdays. 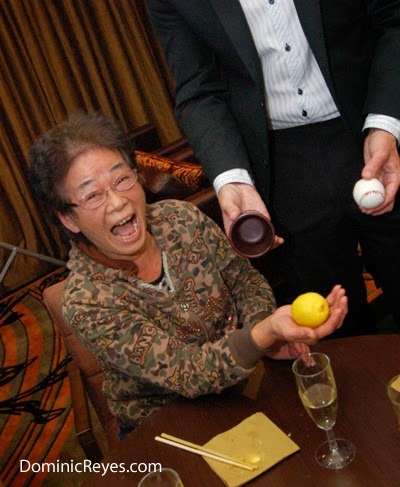 The number of guests - As a rule of thumb, we recommend 1 magician for every 150 guests. That way, you make sure that the magician is able to visit every group or table. For large events with several hundred guests, it's a good idea to hire more than one magician. The magicians will be able to work together to ensure they are performing different magic tricks and all your guests get to watch the magic. 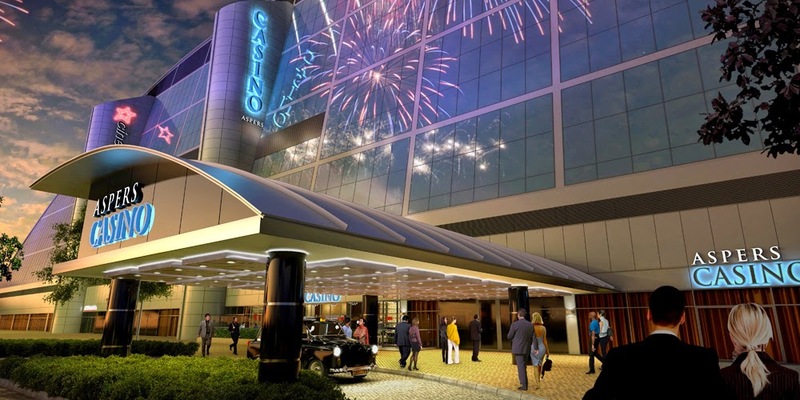 The location - The proximity of an event can influence how much a magician costs. Professional magicians usually have magicians fairly close to your events location, but if a magician needs to travel long distances or requires an over night stay, then the cost of this needs to be included. A standard magician for most events will cost from £350. The Professional Magicians Agency can supply an entertainer for most events at around this figure. Named magicians that are very much in demand tend to range from £500 upwards. You can probably hire cheaper magicians locally, but they are usually magic enthusiasts who perform magic as a hobby, or children’s entertainers who can also perform some basic magic tricks. In our experience, under £350 for a good magician is cheap, and the last thing you want at your event is a 'cheap magician'. 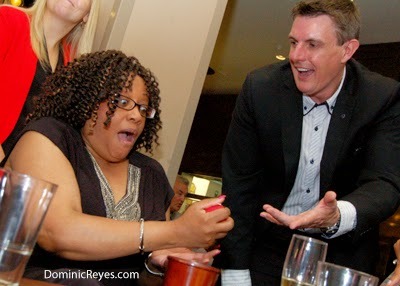 Professional magicians artiste, Dominic Reyes was booked thought the agency to entertain guests at a wedding. The bride and groom asked to film him as he entertained guests at their tables during the wedding breakfast. We wanted to post the video here, as it's a great example of the difference a professional magician can make. Watch the video and notice how engaged the guests become with the magic. Professional magicians understand that it's not just about the magic. 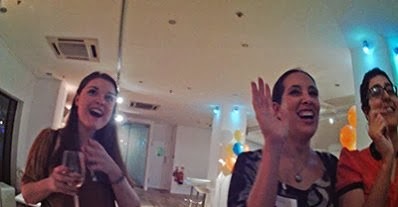 As you can see from the guests reactions, they loved the tricks, but that's only part of it. Anyone can show your guests some card tricks. The real difference is the way that the magician uses the magic to bring everyone together around the table, and create a sense of fun. 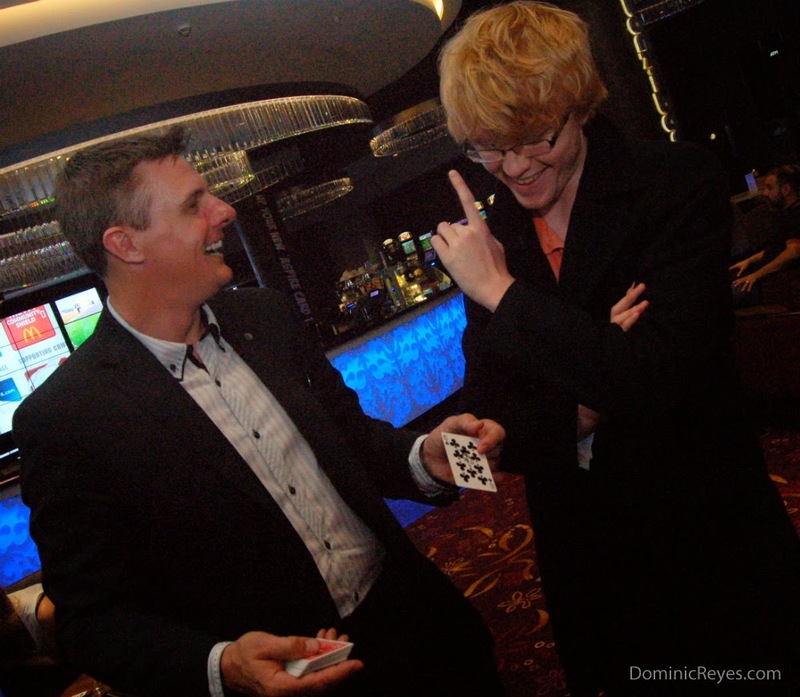 Dominic Reyes is one of the professional magicians that we represent. if you would like to find out more about Dominic, or to check his availability, contact us here. How much does a magician cost? This is one of the most asked questions at Professional Magicians. The cost to hire a magician for weddings, parties or corporate events can vary quite dramatically depending on the magician that you choose for the event. It's quite similar to hiring any other professional service. The secret is to get a few quotes from different performers, and choose the magician that you feel is right for your budget and the style of event you will be hosting. Using an entertainment agency can be a great way to obtain a number of quotes and find the perfect magician at a cost that is within budget for the event. It's important to remember that the magician that you hire for your event, will be representing you. It's very easy to hire a cheap magician, but often, the last thing you want at your party is a 'cheap magician. The performer must be skilled, presentable, entertaining and match the type of guests that will be attending. A good magicians agency will be able to fit the perfect magician to your needs at the best price to hire the magician. 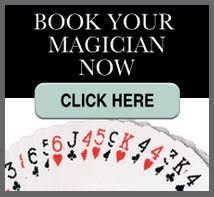 Usually magicians don't put their prices on their websites. One of the most common reasons for this is feat that other local magicians will find out how much it costs to hire the magician and undercut the price. How much does it cost to hire a Magician? 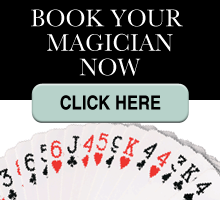 The Professional magicians agency offer a range of magicians. If a client does not need a specific 'named' magician, but is happy for us to send any of our Magic Circle magicians, we can offer a lower price. The magician may be 'less established' or still under tuition. Prices to hire a magician like this range from £100 per hour. The cost to hire a magician may vary at weekends when demand is greater. If the event is far from the nearest magician, then some travel expenses may also be quoted. Very popular dates (New Years eve, bank holidays may be more expensive due to demand. In order to quote the best price to hire a magician, our booking team will discuss the clients needs and provide a range of magicians at different prices. The cost to hire a magician in London would be approximately £350 - £450 for 2 hours close-up and walk-around magic. As well as our standard magicians, Professional Magicians also offer a selection of the best close-up magicians in the UK. These 'named' magicians tend to be very popular, and the cost to hire a magician like this can range from £500 upwards for a typical event. Our event planning team is standing by to discuss your requirements. They can provide a range of high quality performers and can give you an exact quote of how much it will cost to hire a magician for your event. We have been using Dominic Reyes at the agency for several years now, and he is one of our most requested London magicians. Building up a relationship with good magicians is essential for an agency to be successful. Selecting the right style of magician for an event is quite a skill. 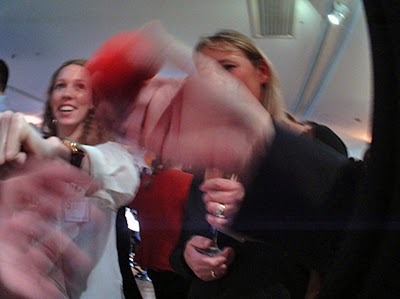 There are a wide range of styles and formats of magic that can fit a company party or event. 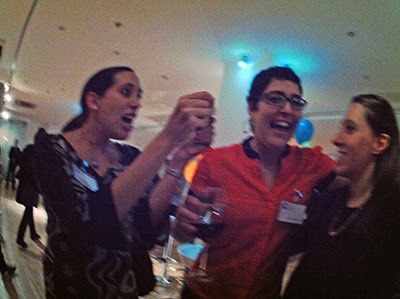 From cabaret style, after dinner shows, table hopping through to mix and mingle magic during canapes. The trick is (If you will excuse the pun) to match the right magician to each event. It's wonderful when it's done right, as the feedback from Crew Clothing points out: 'People are still talking about him today!' That's the KEY part of the feedback for us. People are still discussing Dominic's magic with each other some time after the event. It's hard to find any other form of entertainment that can stay on the audiences minds for so long. 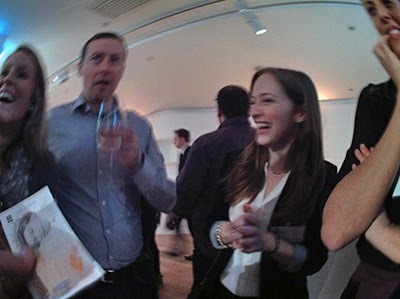 The venue for this event was a very trendy nightclub in Mayfair. We know that it would be a drinks and canapes event with limited space, a lot of guests and loud music. Situations like this, require magicians that can perform visual magic, without the need for a lot of 'patter'. We specifically asked Dominic to perform tricks that could be enjoyed in limited light conditions with a DJ in full swing. Good magicians can be very flexible in this respect as they have a wide range of magic tricks they have mastered to cover most performing conditions. 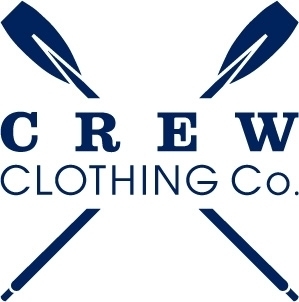 Our thanks go out to Crew Clothing for the booking, and also to Dominic Reyes for another great job for us. We are often asked why the Professional Magicians Agency only offer magicians who are members of The Magic Circle. Here are a few reasons why we choose to be so selective about the magicians that we offer to clients. Firstly, we should point out that any magic club can use the name 'Magic Circle'. There are many clubs across the UK that add those words to the end of their town name. So for example, you may find magicians who are members of the 'Hogworts Magic Circle, or the 'Whosville Magic Circle'. There is nothing wrong with these magic clubs or the magicians that are members, but it's important to point out that each club has it's own joining process and criteria, and some may have lower standards than others. 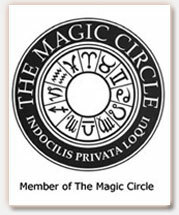 When we use the term The Magic Circle, we are referring to the official world famous Magic Circle, based in London. Anyone can call themselves a magician. The world of magic has changed dramatically since the Internet became widely used. In the past magic secrets were very hard to find, and a student of magic had to work very hard to gain access to the methods and techniques used by magicians. Now the Internet lets people learn magic with just a few searches on Google. This is not necessarily a bad thing for magic, but it does mean that anyone with an Internet connection and a little time on their hands can start learning. It also means that they can print some business cards, create a website, and start charging people for magic shows. It's very hard to identify if a magician is going to be good, just by looking at their website. Even a show reel video can be edited cleverly to present the magic in a favourable light. Because of this, it's important to have a benchmark or standard that the public can use to tell that a magician has reached a level of skill and showmanship, judged by their peers. The Magic Circles strict interview and examination process is a perfect way for magicians to become 'qualified'. Magicians who are members of the Magic Circle have demonstrated a knowledge of magic, but more importantly, they have shown that they have the performance skills and experience to perform to the public professionally. It's our experience over the years that membership of The Magic Circle is a guarantee of excellence in the magical arts. In order to become a member of the Magic Circle, magicians must be proposed by two existing members that have know the magician for some time. After that they must visit the Magic Circle headquarters for an interview. Having passed an interview they will need to pass an examination. This is evolves performing before an audience of magicians, to show they have the skills needed for membership and that they are entertaining. Finally their membership needs to be agreed by ballot by the ruling body, before membership can be offered. On completion of this rigorous process, they will be awarded a degree by the Magic Circle and can display the clubs logo and advertise that they are a member of the club. In order for a new magician to be considered for representation by The professional magicians Agency, they must prove membership of the Magic Circle and maintain their membership. Is this process good for the magic entertainment agency? Being so selective does have some drawbacks. There are many magicians who are excellent entertainers, but have, for one reason or another, not joined the Magic Circle. They are great magicians and we would like to offer them to clients, but it's important to have a standard of quality, so we made the rule only to offer qualified members to the clients that use us to supply professional magicians. Being a member of the Magic Circle is by no means the only qualification a magician needs to be represented by us. They are interviewed, then one of the team will shadow them on a few bookings to watch them perform. if they meet the standards we are for, they will be offered to clients for events. We follow up with each client after every event, to get feedback and testimonials. This constant assessment means that we can be 100% confident in the quality and standards of every magician we supply. It's much more hard work that most agencies are prepared to do, but we think it makes us stand out and is one of the reasons we have such a high retention rate from clients.